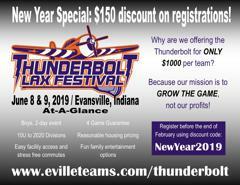 Presented by Goebel Soccer & Lacrosse Complex with support from Southern Indiana Select Lacrosse. 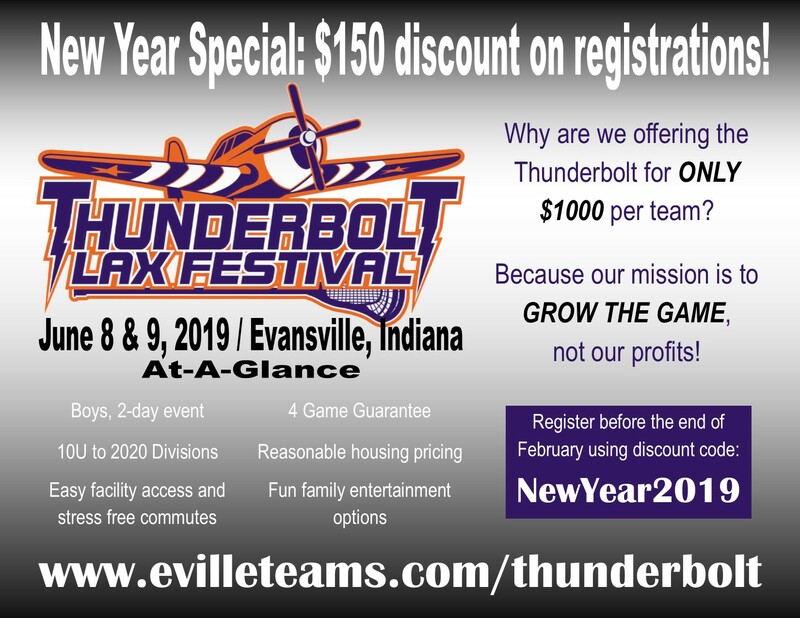 Register before 1-May to receive "Early Bird" pricing of only $100 per team when you use the discount code: NewYear2019. Multi-team discounts are also available. Hotel information and instructions for completed online waivers will be provided upon completion of registration. Check out pics from the first, large scale tournament that was hosted in 2018 by Lacrosse America at Goebel Soccer & Lacrosse Complex. With a $2.3 million investment completed in 2018 by the Evansville Convention & Visitors Bureau, Goebel now boasts two (2) synthetic fields and a newly resurfaced, "championship" Bermuda grass field. Additionally, new sidewalks, bleachers and scoreboards were added, making Goebel a top destination for both soccer and lacrosse. 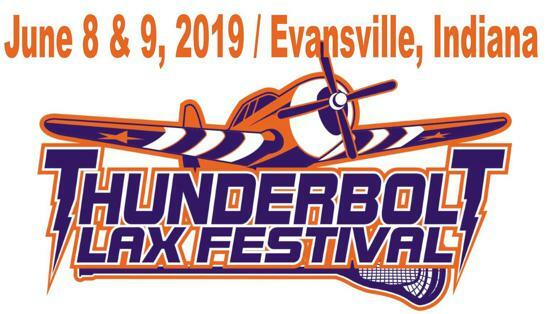 The Thunderbolt will be using the US Lacrosse Age and Division recommendations.